A deluxe-sized mirrored compact filled with eight beautifully neutral shades. Mix, match, and layer to create a wardrobe of looks, from subtle and understated to dramatically contoured. Crease and fade-resistant, these shadows are presented in a deluxe-sized mirrored compact with a dual-ended sponge/brush applicator. 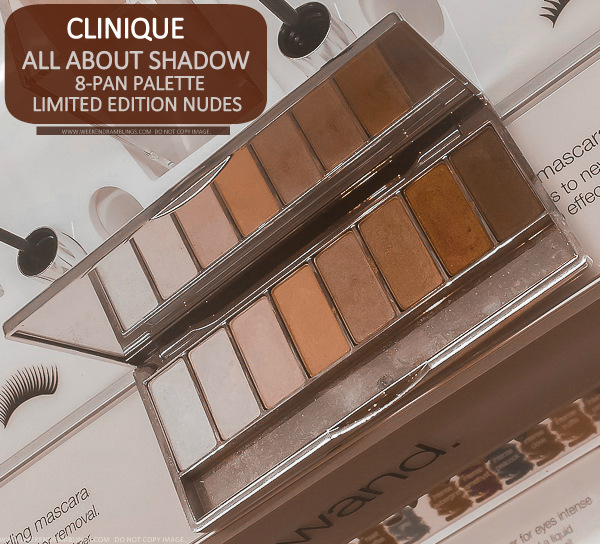 I have a small 2-shadow palette from Clinique that I got as part of a GWP ages back, but other than that, I haven't had much experience with Clinique eyeshadows. 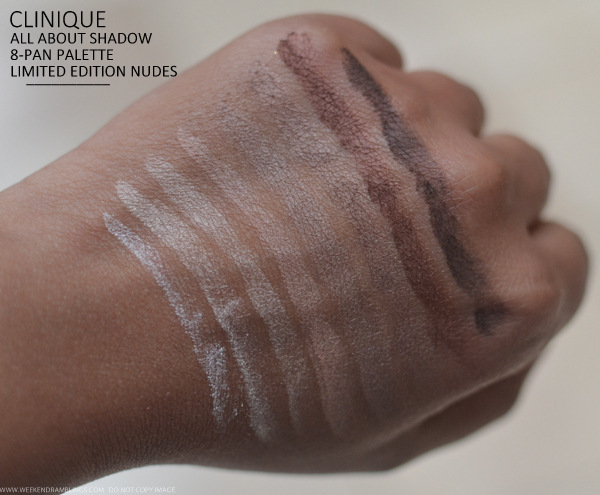 I did swatch some of the newer Clinique All About Shadow Quads and wasn't too impressed with most of them. I had similar expectations from the Clinique All About Shadow 8-Pan Palette too, but I had to give the colors a try since this is a neutral palette. Turns out, this particular palette - Limited Edition Nudes - Neutral Territory2 (okay, I really cannot figure out which of these is the shade name) - is a really lovely neutral palette. 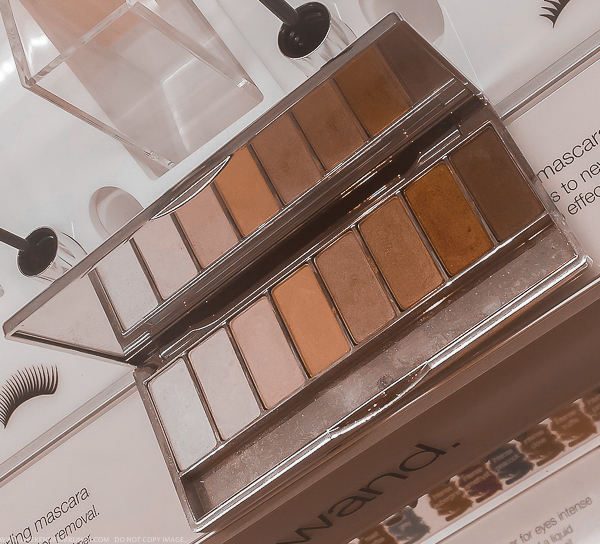 The packaging is the usual understated Clinique and the colors included are lovely browns and beiges with a healthy mix of mattes and shimmers. Here's a look at the swatches on my darker Indian skin. This is one of the nicer neutral palettes I have tried so far. I cannot, of course, comment on how well these shadows would last with actual use on the lids, but with swatching, they all do feel incredibly smooth and buttery and seem to pack good pigment. Do give this a try next time you are anywhere near a Clinique counter. At $36, I think this would be a nice pick for someone who wants some good, basic colors.